My apologies to all you Browns fans. For regular readers, you know I use a lot of football analogies. Well – here’s another. Say you get permission from the NFL to create an expansion team – a brand new professional football franchise. 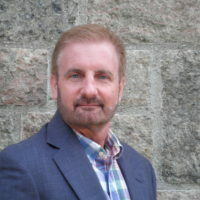 You, the owner, do your due diligence and hire who you feel is the best available Coach and General Manager. The League office encourages other teams to aid your new franchise, lending their expertise and advice on various issues regarding football operations, free agency, the draft, etc. One day you sit down with your new General Manager and Coach and start making calls to other teams for guidance. So whom do you call? And who do you not? If you’re smart, you call the proven winners – starting with the New England Patriots (of course), then move on to the Steelers, Broncos, Packers, Cowboys and Giants. You seek out the proven winners – franchises that show up in the playoffs either every year, or at least most years. Who you don’t call is the Cleveland Browns, the Buffalo Bills, or Jacksonville Jaguars. No offence, but why would you or anyone take advice on building a winning franchise from teams that rarely, if ever, win. Well, Paul Krugman, Keynesian economist and champion of the left, is the Cleveland Browns. His record and economic philosophy is as abysmal as the Browns, and may be worse, as I’m not sure he has ever been right about anything. At least Cleveland wins an occasional game. Yet he is a hero of the left – held up as an intellectual giant and economist extraordinaire. So I find it comical that the left’s virtuoso of big government spending chooses to lecture Trump or anyone on how to grow the economy. Yesterday, Alternet.org posted a warning by Krugman that, “our next waking nightmare may be Trumponomics: Reagan era fantasies, back from the dead to convince America that growth through low taxes and cuts to government spending will benefit anyone other than millionaires.” Yes, because allowing us to keep more of our own money and less government spending, which is also our money, couldn’t possibly be a benefit. 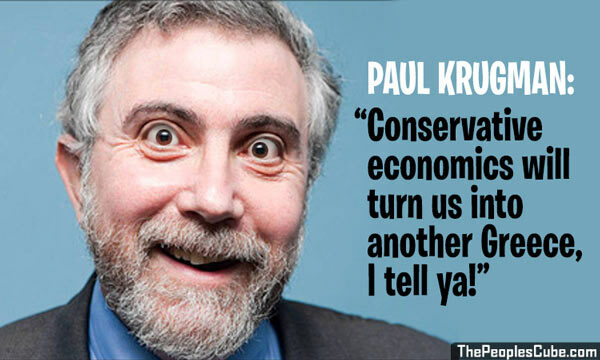 This statement shows Krugman to be an economic ignoramus, or a big fat liar. I frankly don’t know. I do know that any real economist can quote you the current Labor Force Participation rate, which stands below 63%, the lowest since the `70s. And he can then explain that the lower the number the less people are working. He should then be able to explain that the 5% unemployment rate is completely fabricated and that 95 million Americans are currently unemployed or under-employed. In other words, with some sound policy that benefits the private sector, 3-3.5% growth should be a cake walk, showing once again that Krugman is wrong, as he always is. Didn’t you just love that subtle dig at Trump from the noted academic? He’s so funny. Here again, Krugman shows his ignorance or disingenuousness. The “historical record” shows clear as a bell, that when taxes are cut, the economy grows like gangbusters. Krugman continues insulting Trump and his administration throughout the article and spouting more of his big government Keynesian nonsense. But with a track record like his, or those on the left, why should anyone listen to this guy or take anything he has to say seriously?